World have been doomed and only you can save it! Sokoban: Armageddon is a remake of a classic logic game Sokoban from year 1984. It contains 250 levels and some of them are really difficult. Are you ready to finish them all? 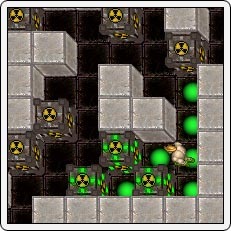 Game also contains a complex level editor and everything is in a nice graphic with a restful music. 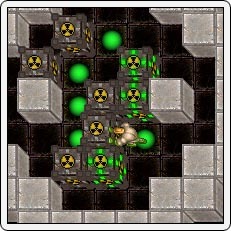 Be careful: Sokoban: Armageddon is highly addictive. "This is an excellent remake of a classic game. I highly recommend this game." "I was expecting a lot about this game, but I was nicely surprised at the result." "With levels for beginners to experts, Sokoban: Armageddon is a fine sokoban game for anyone." "Huge amount of levels and the presence of a level editor guarantee long-term entertainment." "Sokoban: Armageddon is surely successful remake in all respects."